We continue to turn up… problems… of the Obama legacy. A three-month internal review by the U.S. Navy reports that some 85% (!) of junior officers are part of a “widespread shortfall in basic seamanship,” greatly increasing the risk of collision among poorly-handled naval vessels (https://www.defensenews.com/naval/2018/06/06/troubling-us-navy-review-finds-widespread-shortfalls-in-basic-seamanship/). Of 167 junior officers tested, only 27 passed. You’d think they were testing for public school teacher literacy or something. Last year the Navy suffered two collisions, resulting in the deaths of 17 sailors. It seems most of our junior officers can’t use radar properly, don’t know what they’re doing when they’re on the bridge, and have a tendency to freeze or panic when maneuvers get complicated. Well, when you’re using the military as a laboratory for bizarre experiments in social engineering, it doesn’t leave a lot of time for learning anything as mundane as basic seamanship. The good news is that the Navy is working on the problem and hopes to solve it before any more of our ships plow into each other. 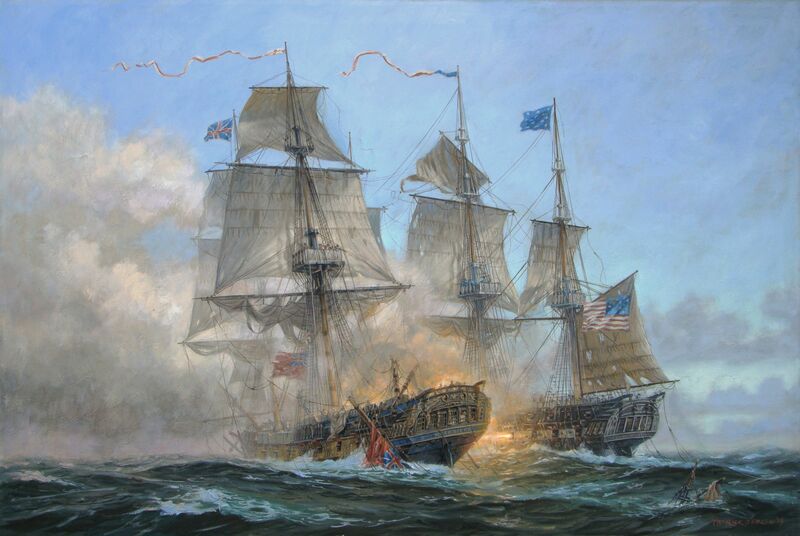 Hey, they may not be able to maneuver their ships safely, but you can bet their minds are right when it comes to “gay marriage.” If we had had this navy in 1812, there would be no United States today. The British would have won the war. A small price to pay for fundamental transformation. This entry was posted on Thursday, June 7th, 2018 at 1:19 pm	and tagged with basic seamanship, deterioration of the US Navy, Obama legacy of incompetence, Study finds naval officers can't handle ships, the military as a social re-engineering laboratory, US Navy internal review, war of 1812, when naval vessels collide and posted in news. You can follow any responses to this entry through the RSS 2.0 feed. The problem with the armed service in general is they keep lowering their standards. Sir, I shared your column on my little website. You gave me permission a few years ago, and I hope it’s still ok to repost it. I remember you, and of course it’s OK. I hope your site is still around. I looked for it a while again and couldn’t find it. Thank you! Robin has already asked that I post more of your work! My son did enjoy one of your novels also. Now he reads tractor manuals. One? How could he read only one? The sad fact is that our military has lower its standards to accommodate certain groups rather than being concerned with protecting our nation from enemies. Methinks the enemy is within. Another reason to thank God for the election of President Trump. With building up our military readiness which was stunted by the Obama Ad. hopefully the training will return to what it needs to be. I know the President is trying to keep transgender people out – that’s a good start.